Republican Gov. 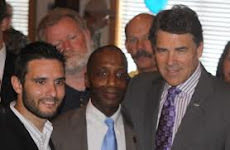 Rick Perry and Abbott spoke out in support of the cheerleaders on Wednesday. Perry appointed Thomas to fill a vacancy on the 356th District Court, and he is running for election to continue in the post as a Republican.